567LF-SSMPU is rated 4.5 out of 5 by 80. Rated 2 out of 5 by lincolnu from Form sacrifices function This faucet's aerator cannot be replaced and the water flows out of this in a flat laminar flow, so when it hits your hand, it ends up bouncing off directly out of the sink. It would be better if the aerator worked to make the flow turbulent so it doesn't bounce off the surfaces. As it is, it makes a mess and I don't recommend this design. Rated 5 out of 5 by CDH Designs from Exactly what we were looking for I ordered the Delta Ara faucet for a bathroom design project. We chose a semi-recessed sink, so not just any faucet was going to work. 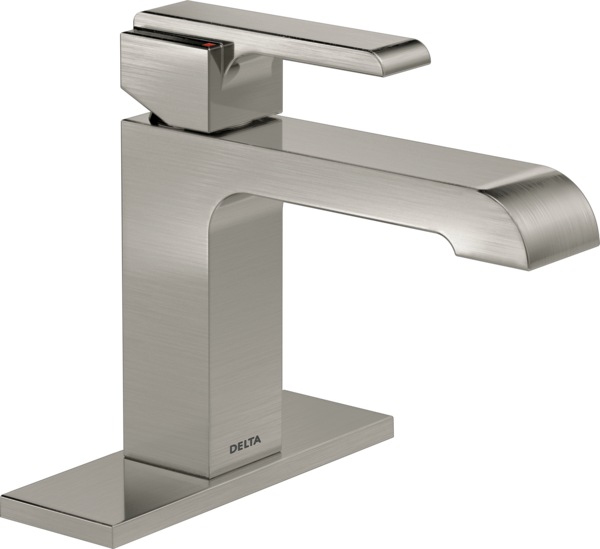 This faucet’s design (with the handle on the top) is just what we needed. As far as the style, I love the clean lines of the Ara. It’s not too modern, so it’s perfect for the farmhouse we’re putting it in. The matte black finish is on-trend and hides smudges. Both my clients and myself are very pleased! Rated 5 out of 5 by KT from Great faucet This is a great faucet, nice design, color is perfect matt black. Great modern farmhouse styling. Rated 5 out of 5 by KarlK from Great modern looking faucet We have used this faucet in multiple projects. 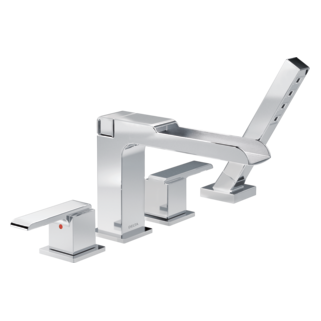 It is easy to install and of great quality. 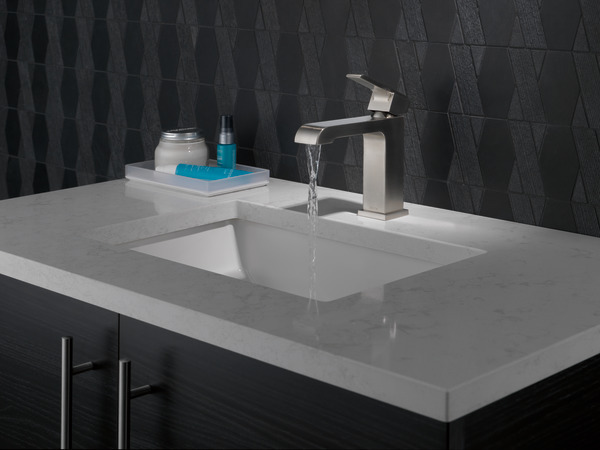 The faucet adds a wow factor to any sink. Rated 5 out of 5 by Lynn from Modern and Large Scale! Beautiful faucet and matching towel ring and toilet paper dispenser perfectly scaled for a new pedestal sink in a powder bath with 10’ ceilings! 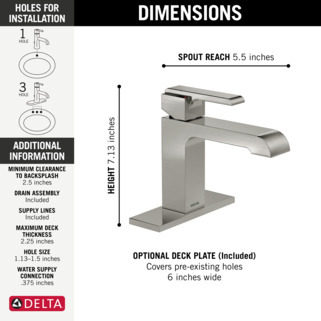 Rated 5 out of 5 by DaveD from Delta single hole faucet Awesome faucet... very clean appearance, works flawlessly. Very easy installation...plastic hookup lines are great! Rated 5 out of 5 by Cyndi from Sleek modern faucet This is a great faucet. 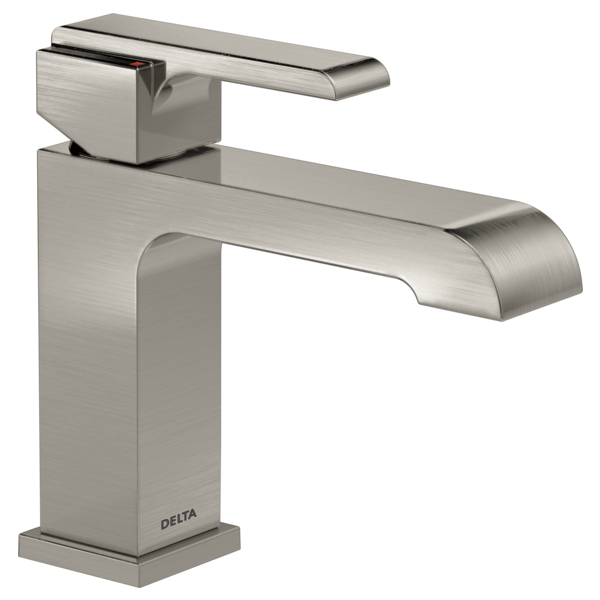 Not as chunky looking as other modern square faucets. 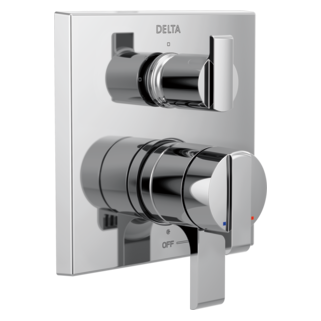 The handle is sleek which gives it a slim look. It looks great on my 24” wide vanity cabinet. Are these available with the spot sheild technology? If not will they be soon. Are there any other collections like this that come with that? We are building a new home and live the look of these! Putting them in all the bathrooms along with matching showers asessories within the next couple weeks and would live if I could get them with spot sheild finish! Does this product come with the RP47030 lav wrench included? How do I remove the aerator so it can be cleaned/replaced? Aerator removal key could not be found. Is there an extension kit available for this model? 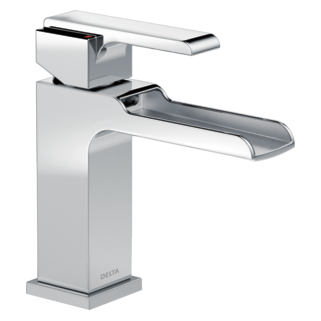 How much does the faucet weigh?